There are a lot of people with great intentions for their finances who are led astray by biased advice from financial advisors. There are also a lot of people who are simply operating under bad financial advice in general. 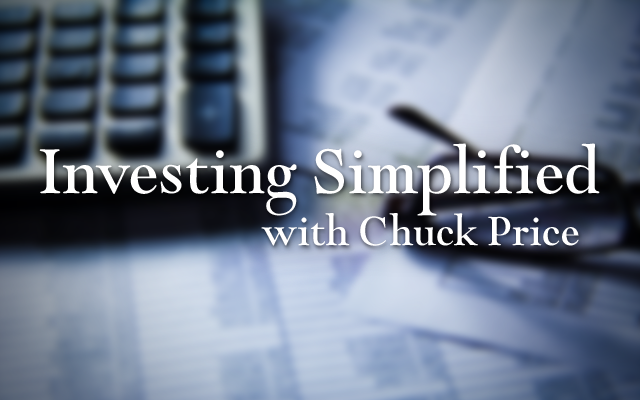 That’s why the Financial Doctor, Chuck Price, decided to start a radio show called Investing Simplified™. He wanted to use the show as a simple way to educate people about the truths of finance and investing. Subscribe to Chuck’s weekly newsletter! Brought to you by Price Financial Group Wealth management, Inc.